Supernovas have helped astronomers to discover one of the greatest mysteries of science, acting like a time machine to help us understand why the universe is spreading out at an accelerating rate, according to Kirshner. “We do not understand what this is. We really have no deep understanding of it," says Kirshner. Yet it represents one of the most important forces in the universe, given its ability to stretch out space and cause stars and galaxies to move away from one another at an accelerating rate. 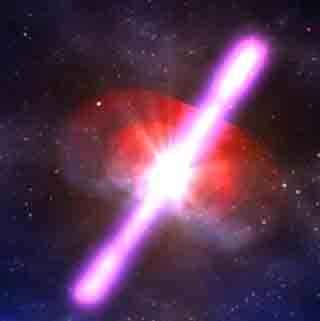 Supernovas, were used by astronomers as beacons that can give information about distance and time. “We can see into the past in a kind of time machine,” he said. It was while studying these beacons that astronomers learned something was making stars accelerate away faster than they should have. “We found the supernovas were a little bit further away than we expected,” he said. Studies since have convinced scientists that the effects are real; a kind of “anti-gravity” is pushing the universe apart. The challenge now was to understand the force responsible for this. But several of the world's leading cosmologists believe that we are but one of many universes and that there may be another clue more radical clue to the mystery of dark energy. As yet, as we know, there is no evidence of there being other universes out there. 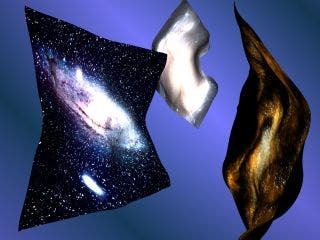 Some versions of this theory suggest that there is at least one other universe very close to our own, separated perhaps but a membrane as little as a millimeter away, which, if true, could be detectable by some energy or forces such as gravity leaking through.In fact, as predicted by brane theorists, this "leakage" could be responsible for the production of dark energy from a parallel universe, its influence felt in our own through its gravitational pull. More exciting than the discovery of Higgs Boson, who's function is giving mass to the particles of matter, could be the possible creation of tiny, particle-sized black holes. Real data from these experiments will rewrite the theorists' Guide to the Quantum Universe. According to current physics these nano black holes could not be created at the energy levels the LHC is capable of producing. They could only be created if a parallel universe actually exists, providing the extra gravitation needed to generate the nano black holes. Before the Big Bang -The Prehistory of Our Universe, Brian Clegg.